About Us | Ackley Florida Property Management, Inc.
Ackley Florida Property Management and its full menu of professional property management services have been serving the Greater Metropolitan Orlando marketplace since 1984. AFPM features an impressive portfolio of nearly 500 rental properties boasting a 95 percent occupancy rate sprinkled throughout the six-county Metro Orlando market that includes Orange, Seminole, Osceola and Lake Counties. 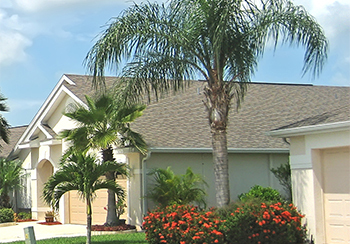 Our collection of quality properties range from single-family homes to condominiums to townhomes to beautiful lake and golf ront residences in many of Central Florida’s most desirable and vibrant residential areas, including Windermere, Winter Park, Lake Nona, Hunters Creek, Winter Garden and more. If you own a rental property and are looking for tenants, we can help you with that, as well. Because finding high-qualified tenants for our clients is an aspect AFPM excels. And, if you’re looking to purchase an investment property in any of Central Florida’s prime locations, we can help you with that. We will put you in touch with a professional real estate agent from our well-respected sister company, Coldwell Banker Ackley Realty, which, too, has been serving the Greater Orlando since 1984. Our website showcases the many services we offer for both owners and tenants. It also displays home and community photos, as well as valuable information about the community such as schools, shopping, recreation and medical services. With just a simple click, you will find the ideal home in the perfect neighborhood you’re looking for, convenient to work and play. If it’s a long-term rental you want or a home on the lake or golf course, we most likely have what you’re looking for. You can also check out of VIP Renters Section to find gated communities, lakefront homes and retirement communities. We also provide key real estate news and other pertinent information, as well, such as Florida school reports, mortgage calculators if you’re looking for buy, home advice and home listings. We’re at your service, ready to help!